These cute tote bags were fun to make. Ours are scaled for 18” dolls like American Girl dolls. Ribbon, fishing line, coated wire for handles. Fold felt over and stitch up the sides. 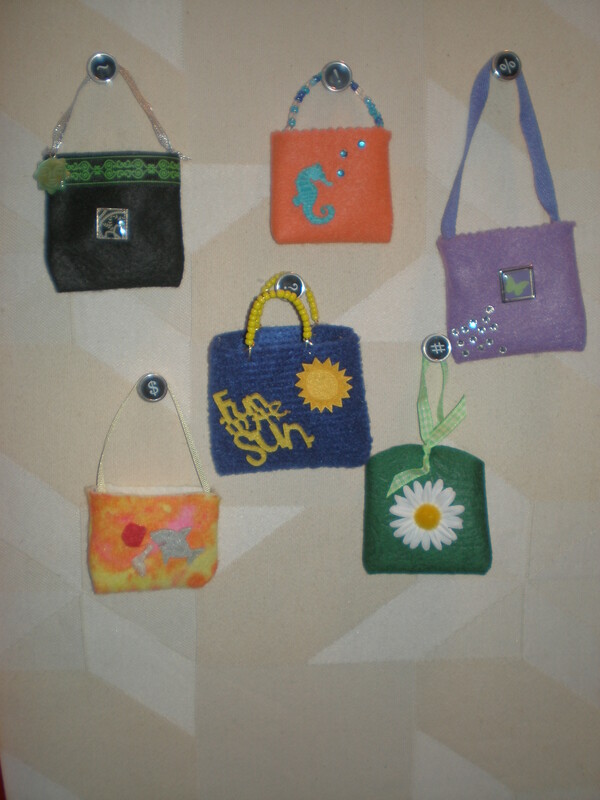 Decorate front of bag as desired. Be creative! Add handles. We used several methods to do this. For the orange bag we threaded beads onto fishing line and sewed it into the bag. 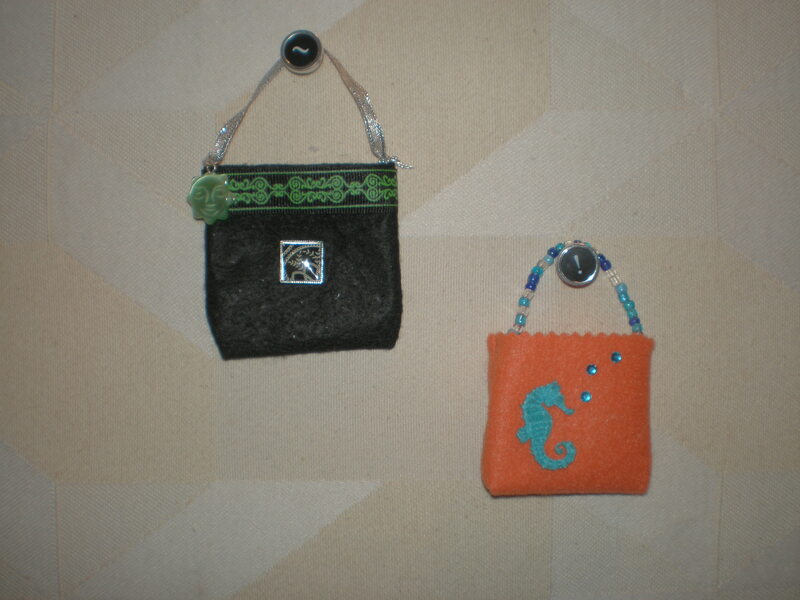 The blue bag has beads strung on coated wire. For the bags with ribbon handles we threaded ribbon through the eye of a large needle and stitched it into the sides of the bag. This craft was fast and fun! Here’s a fast, fun, and fabulous craft to make for your American Girl Dolls, or for any other dolls too! 1. Cut fabric to the size and shape you want. 2. 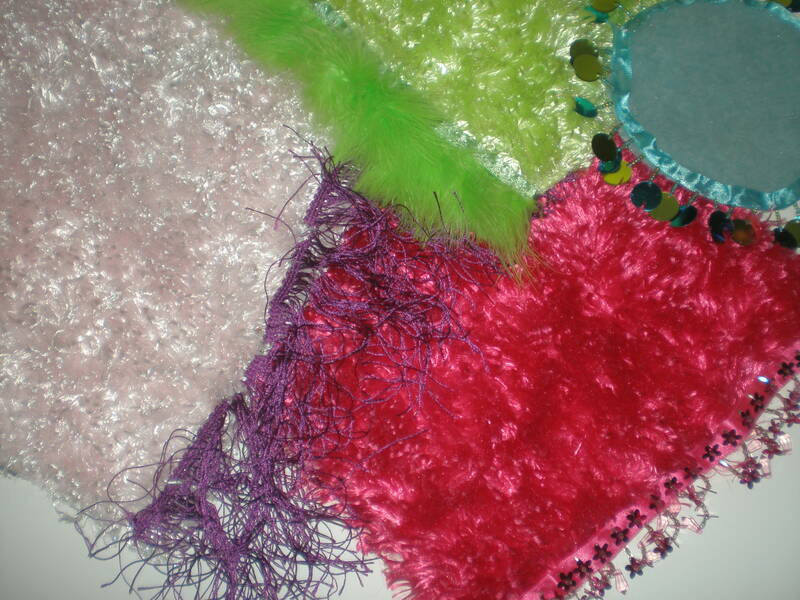 If fabric is very fuzzy, flip it over and put a line of fabric glue down each edge to keep from unraveling. 3. Cut fringe long enough for the short ends of the fabric. (Or enough to go around the edge, if creating a round or oval rug. 4. Put a small line of glue across the area where you want to add fringe. 5. Press fringe onto glue.